The legal and regulatory landscape has been constantly evolving over the last 20 years. Ethical practices are no longer just “good to have” but are now a “must-have” as people have realized that a lack of ethics and integrity not only leads to regulatory risks, but can pose existential risks, too. Around the turn of the century, new laws were framed, existing laws strengthened, and the enforcement authorities were given more teeth. New regulations and standards were introduced with the objective of making corporates more responsible and accountable to all stakeholders, because business is more than just delivering numbers at any cost. Laws were framed to cover workplace harassment, conflict of interest, insider trading, bribery and corruption which were hitherto more moral issues and not legal offenses (except in some countries). Even though strict laws did exist in some countries, the enforcement actions have increased significantly in the last decade. While instances of unethical cases are not new, the scale and magnitude of such issues are much higher now than before, due to the complex nature and globalized scale of businesses, caused by easing of trade barriers and free flow of goods and services across countries. The electronic and internet era has obviated the necessity of physical movement to connect and exchange in order to do commerce internationally. Thus, frauds today may have huge consequences and international ramifications. Prescriptive Phase of Governance: In this phase, the requirements were very prescriptive, including what approvals are required for business, what amount of fees are to be paid, and what is the cycle time for approval. In this very procedure-driven compliance phase, “permissions” are very important. The Government was not so much interested or even knowledgeable about the businesses, but did frame stringent approval norms. This phase is highly procedural in nature, and compliance is largely binary in nature. This phase spawned corruption and a “speed-money culture” and also led to centralization of power with a few big individuals and industry houses. Regulatory Phase of Governance: The regulatory arm of the Government became stronger and started to get into the “how” of business. They started mandating processes that businesses needed to follow in the interest of consumers. The regulatory phase is a layer atop the prescriptive phase. Ethics and Values Phase of Governance: This is possibly the most evolved of the three phases of governance. In this phase, businesses are expected to demonstrate the highest levels of ethical conduct whilst pursuing business goals. Thus, the ethics and values phase incorporates the prescriptive and regulatory phases. Compliance is replaced with commitment, which goes beyond complying with laws and regulations. That is okay for the first two phases. Strong ethics and sound governance are the core (which is more than doing what is “deemed to be correct”). In this phase, the stakeholder interests become most important for businesses and become key to their survival. This phase underscores the significance of being ethical and morally upright as an organization. Businesses realize the existential challenges posed by unethical practices and the power of the enforcement authorities. Improving business results through unethical means can lead to disastrous consequences. Businesses must innovate to be competitive and profitable. These three phases are evolutionary phases and occur at different periods of time in different markets and countries. I believe that the regulated markets are probably in the third phase, while the developing markets are in the second phase. 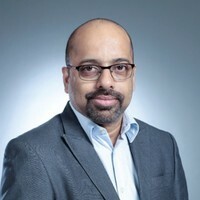 Please note: This article contains the sole views and opinions of Mani Padmanabhan and does not reflect the views or opinions of Guidepoint Global, LLC (“Guidepoint”). Guidepoint is not a registered investment adviser and cannot transact business as an investment adviser or give investment advice. The information provided in this article is not intended to constitute investment advice, nor is it intended as an offer or solicitation of an offer or a recommendation to buy, hold or sell any security. Any use of this article without the express written consent of Guidepoint and Mani Padmanabhan is prohibited.